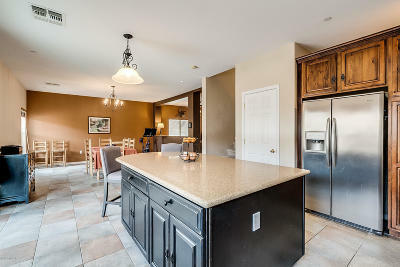 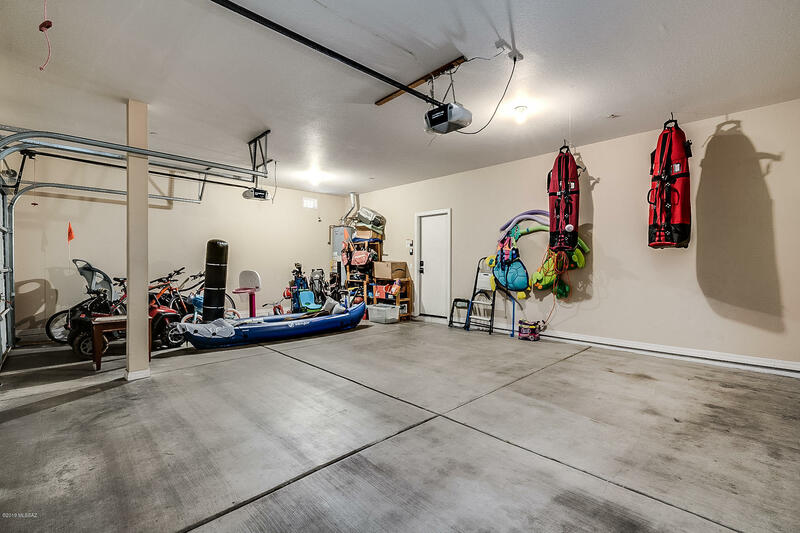 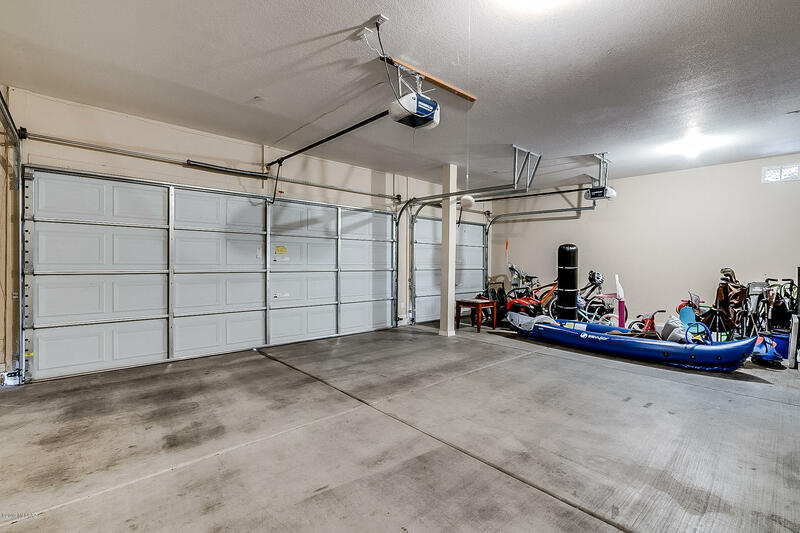 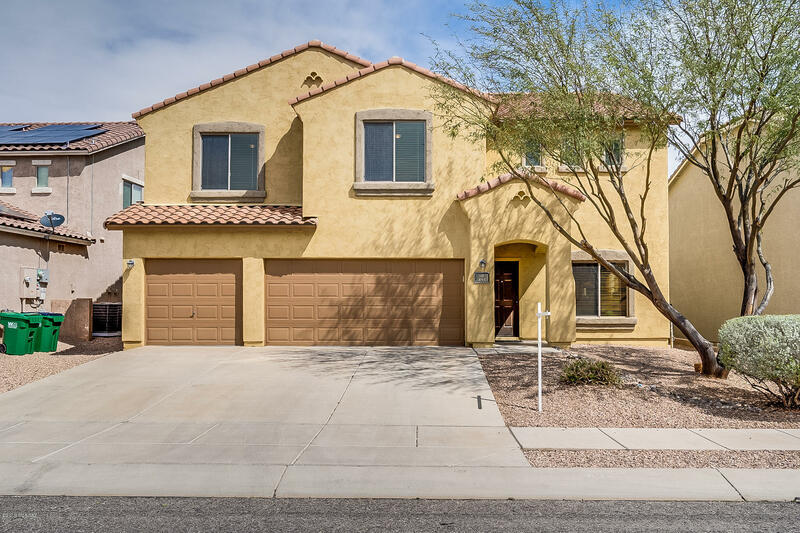 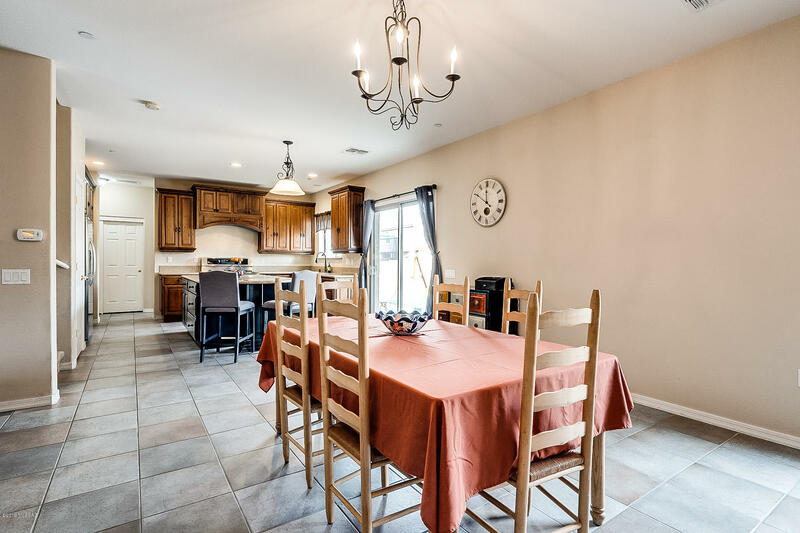 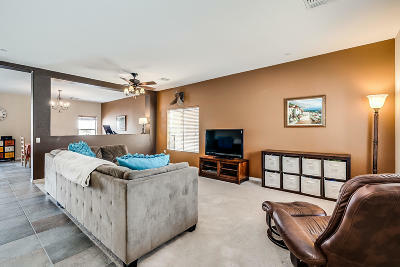 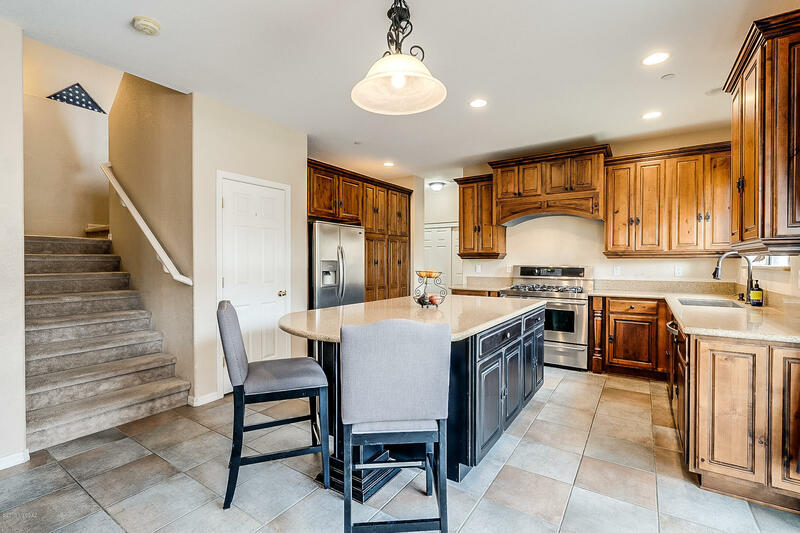 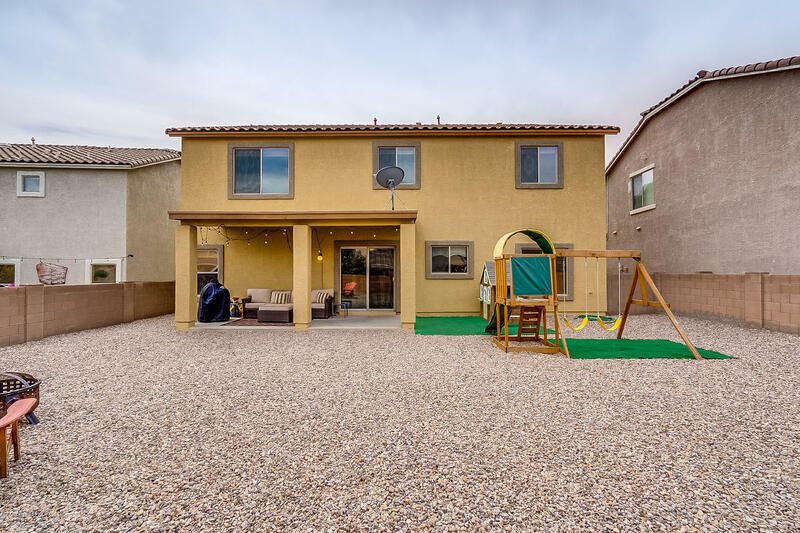 Loads of living space in this 4 bed, 3 bath home. Step into your formal living/dining room with custom paint in earth tones, oversized tile walkway leads to the family room and custom Knotty Alder kitchen cabinets complete with granite counters, oversized island, amazing 5 burner/2 oven range, Kenmore Elite stainless appliances, pantry cabinets, and more! 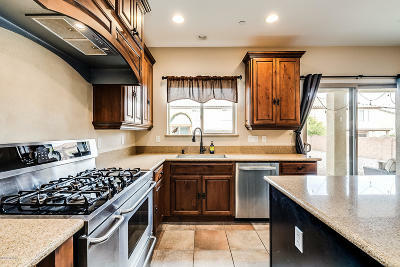 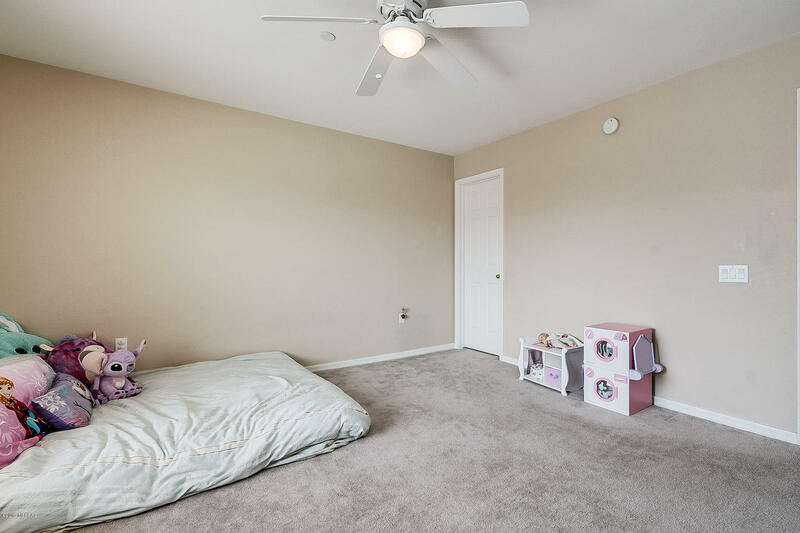 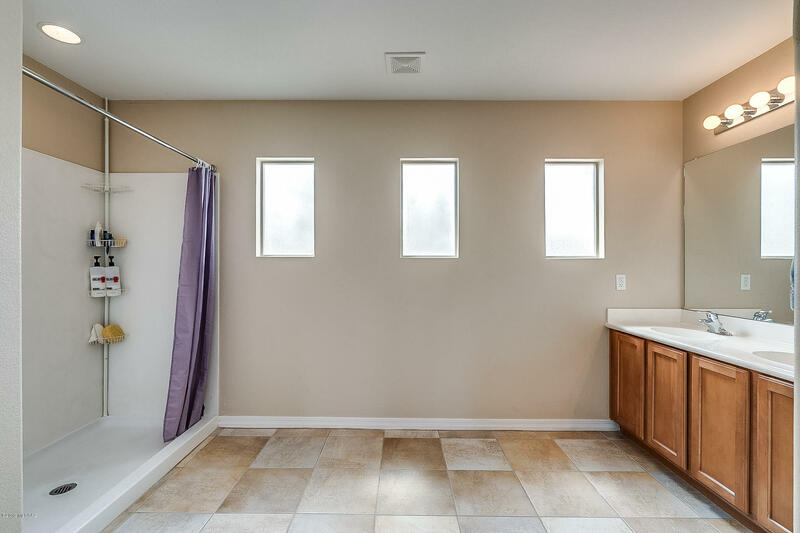 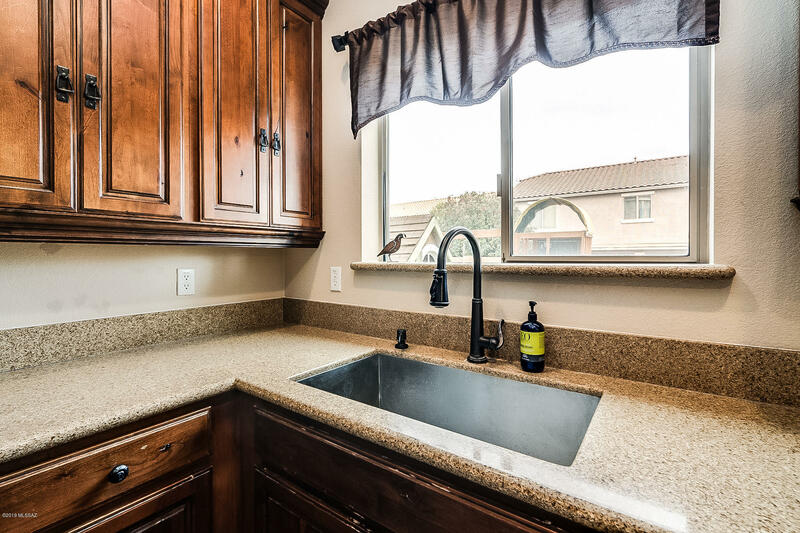 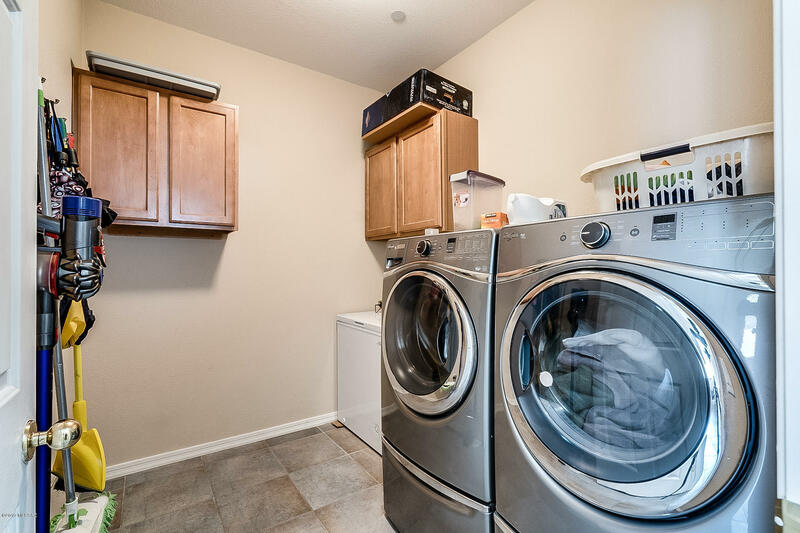 Beyond the kitchen is a large laundry room, a full bathroom, and a guest bedroom all on the way to the 3 car garage! 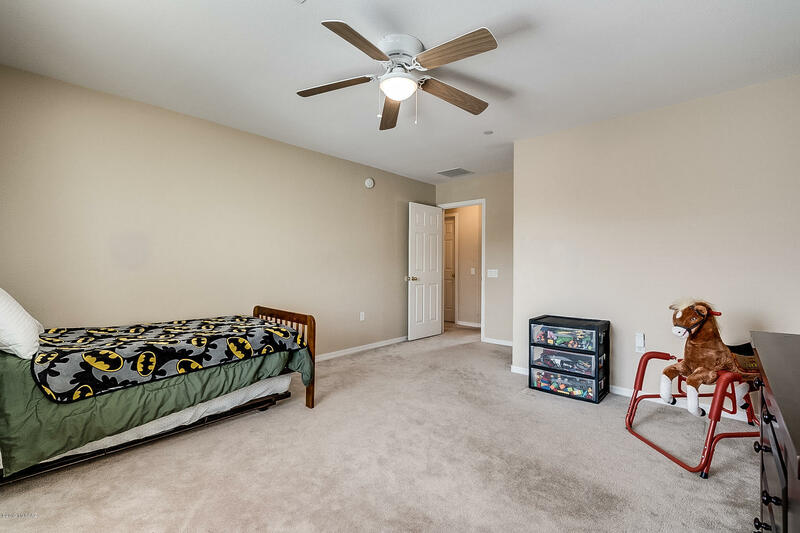 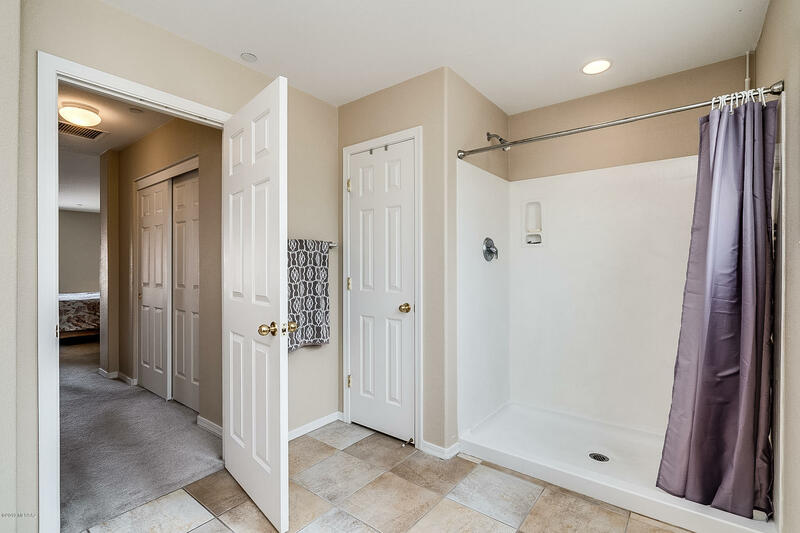 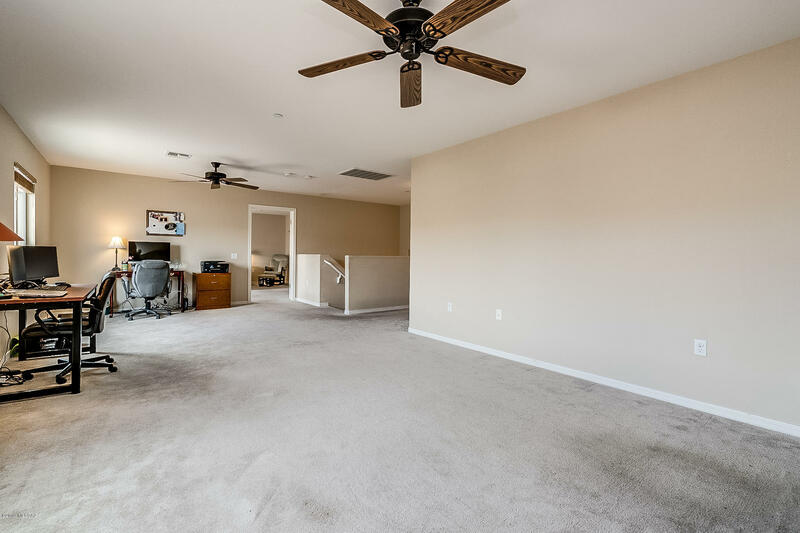 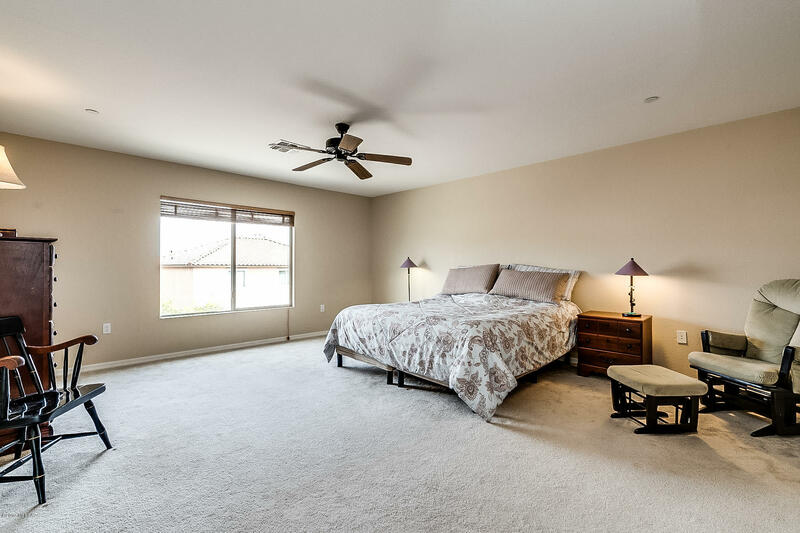 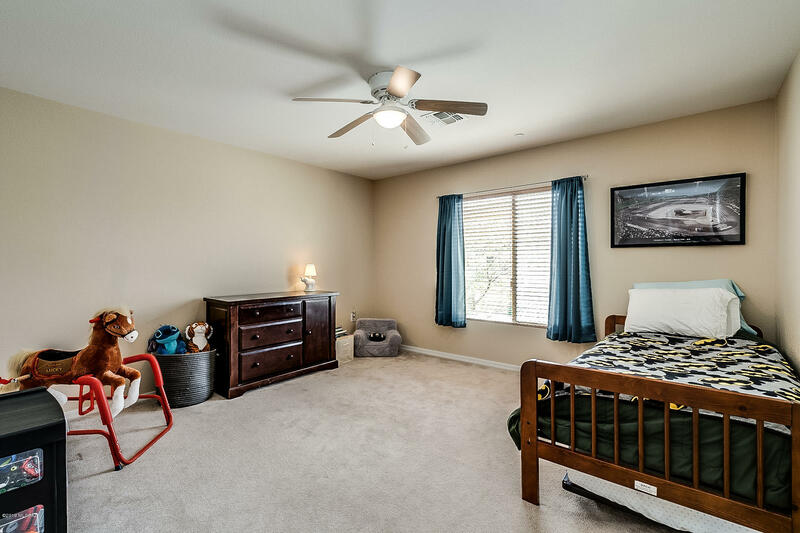 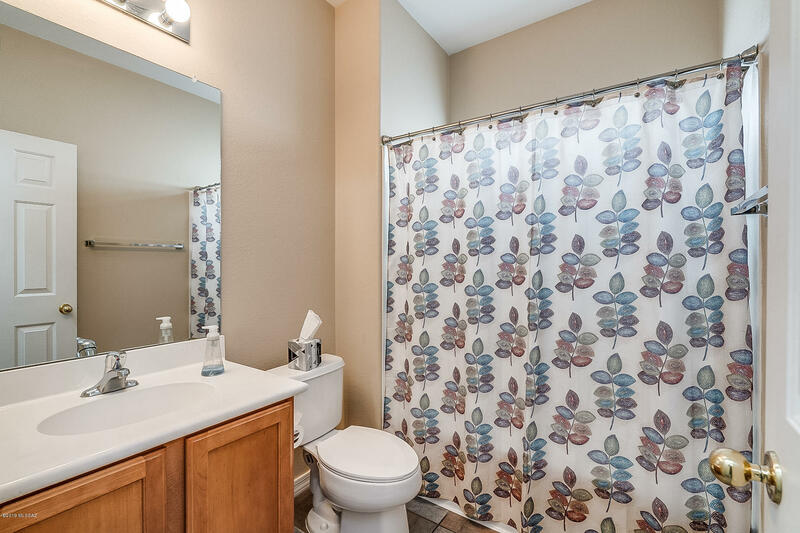 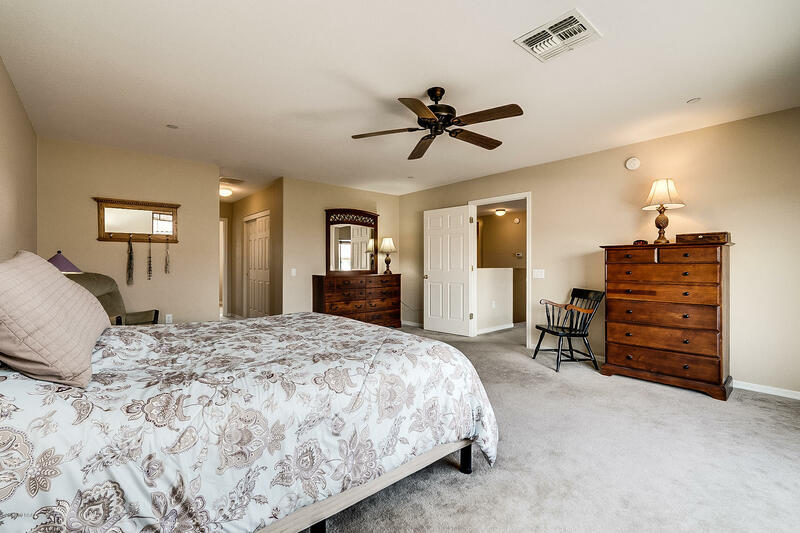 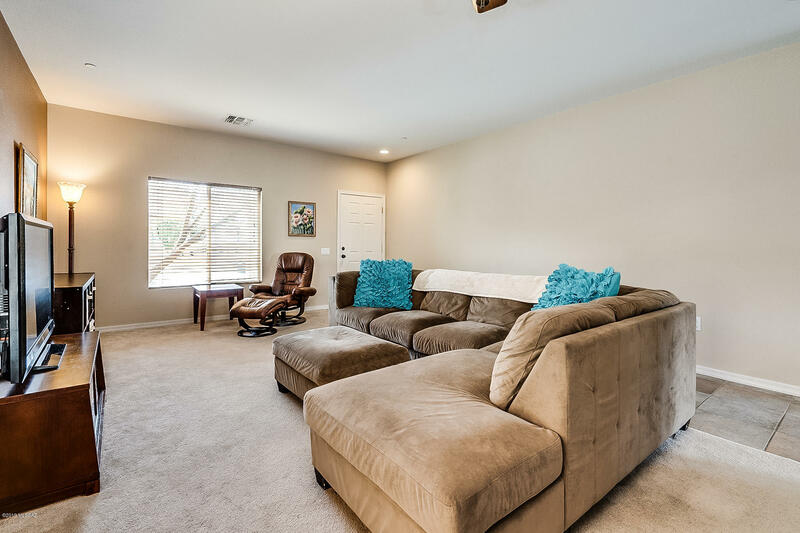 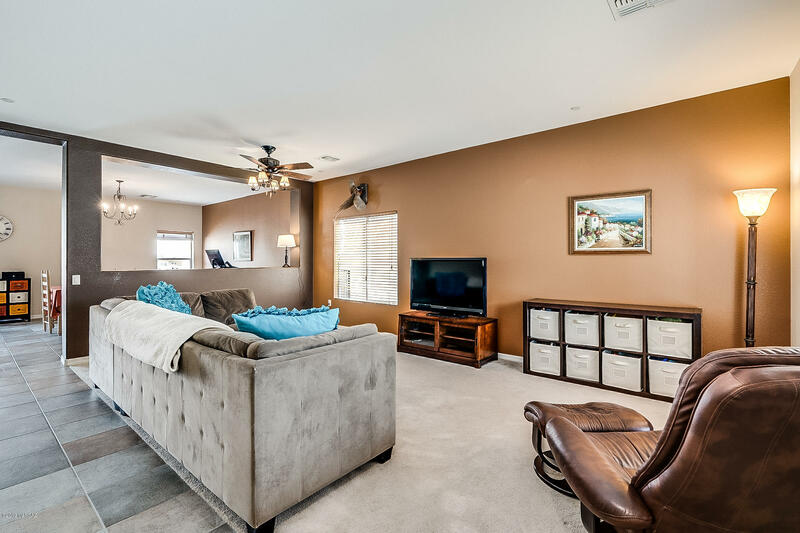 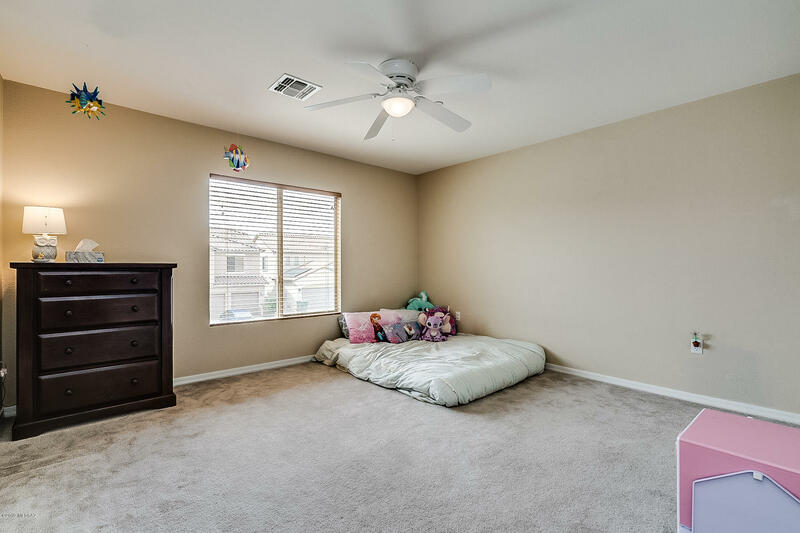 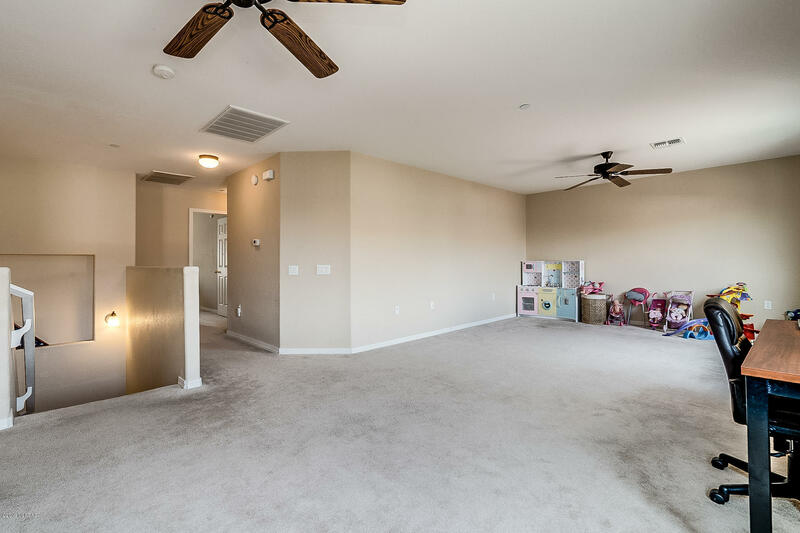 Climb the stairs and enjoy the huge loft area, 2 extra large bedrooms, dual basins in the hall bath, and a master suite so roomy you may not want to ever leave it. 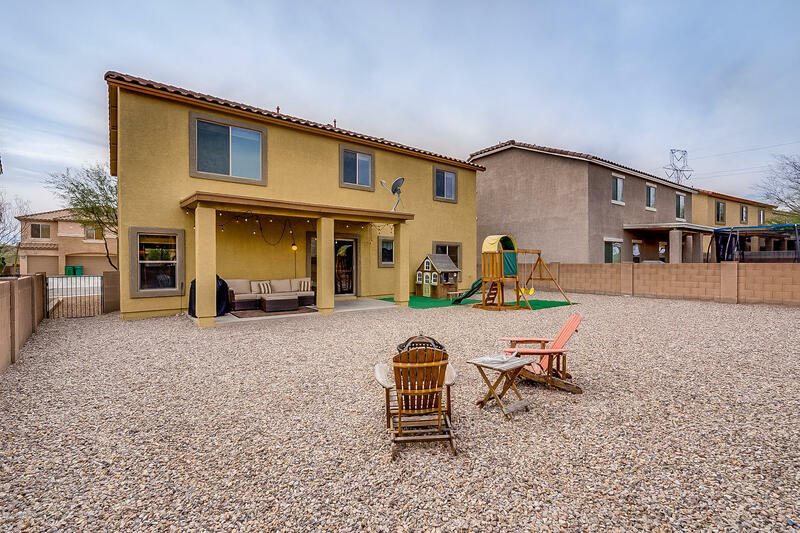 Low maintenance front yard landscaping, and graveled backyard. 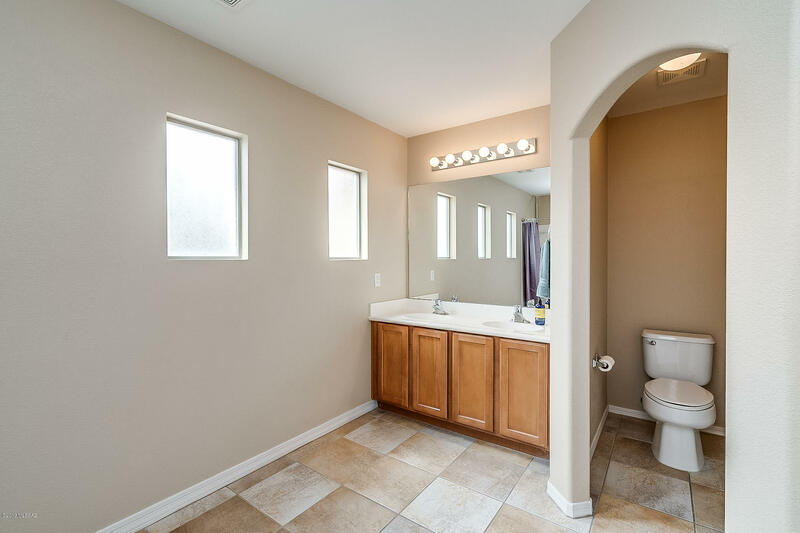 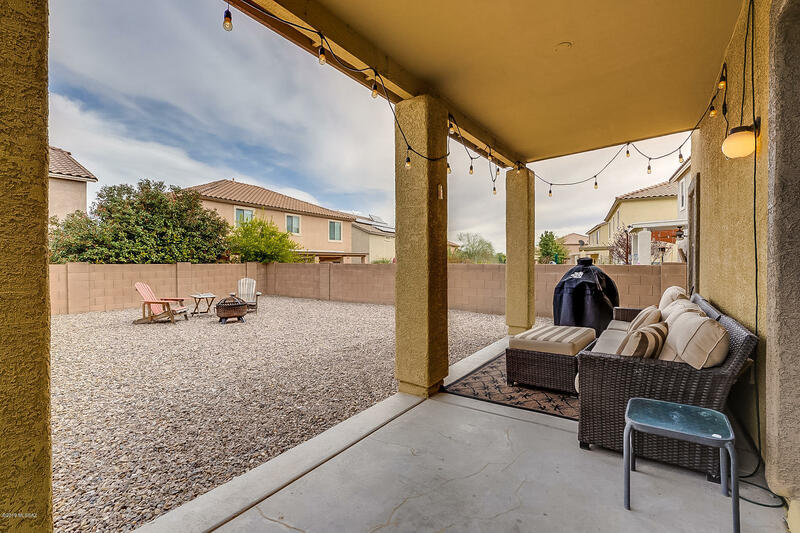 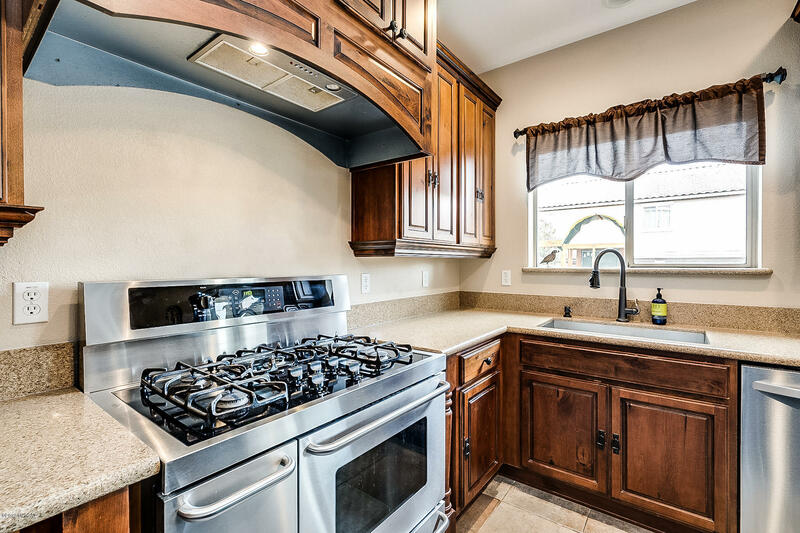 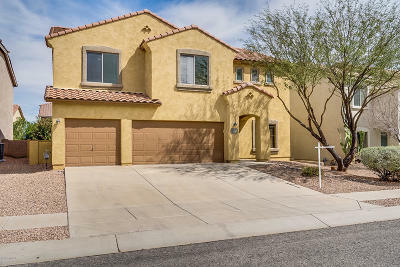 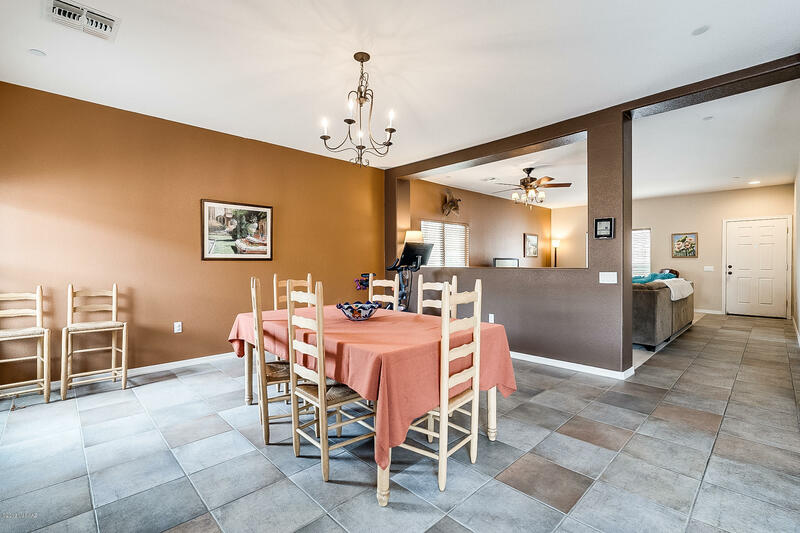 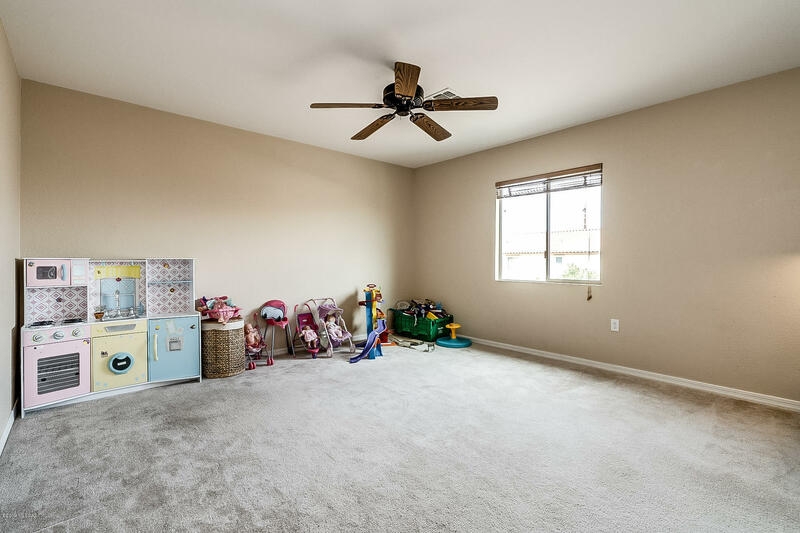 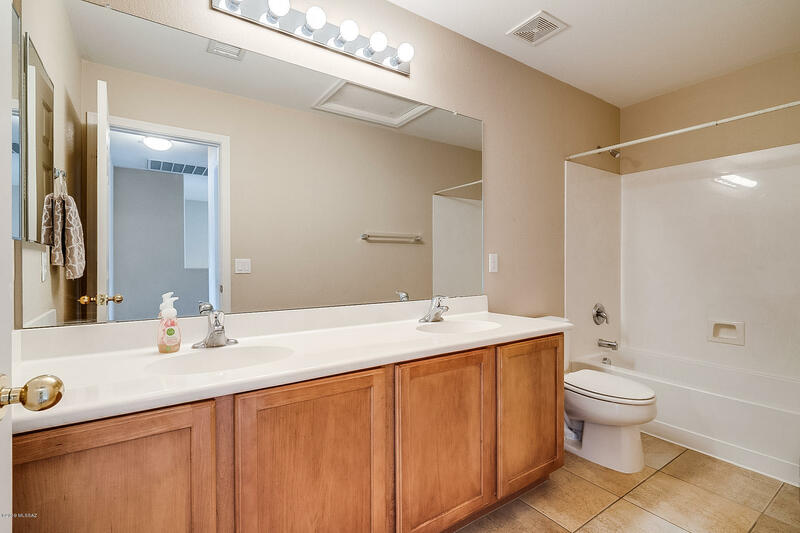 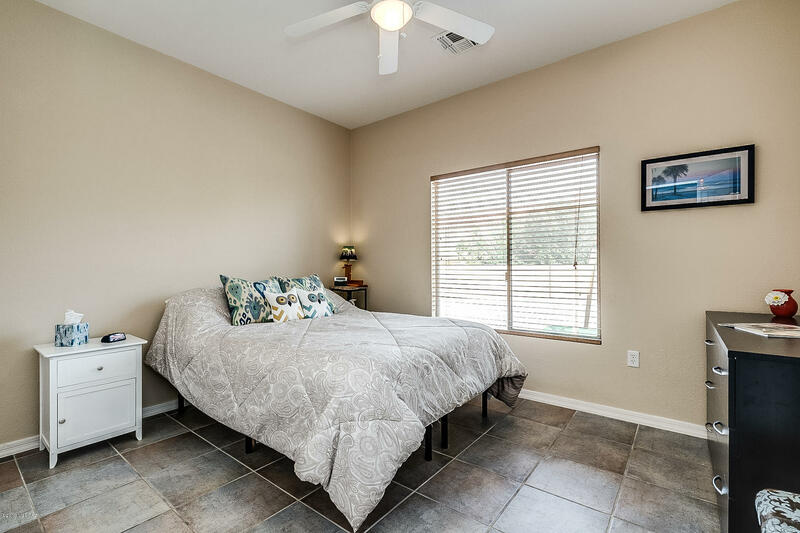 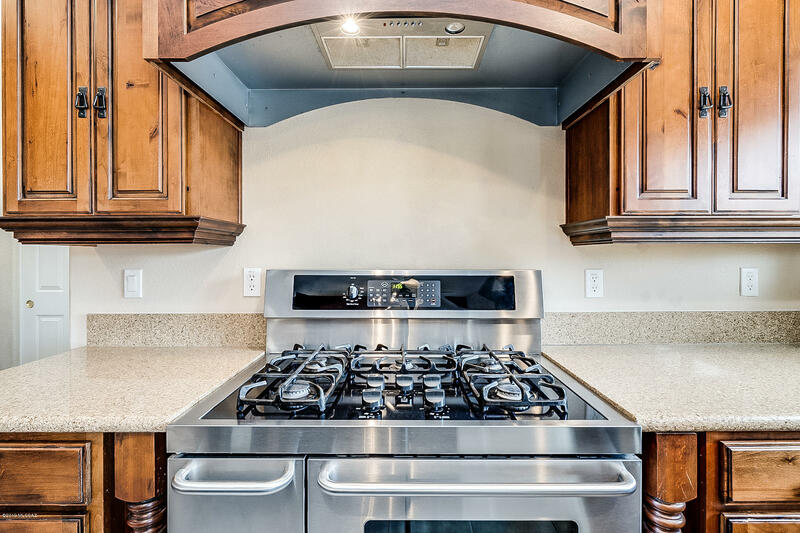 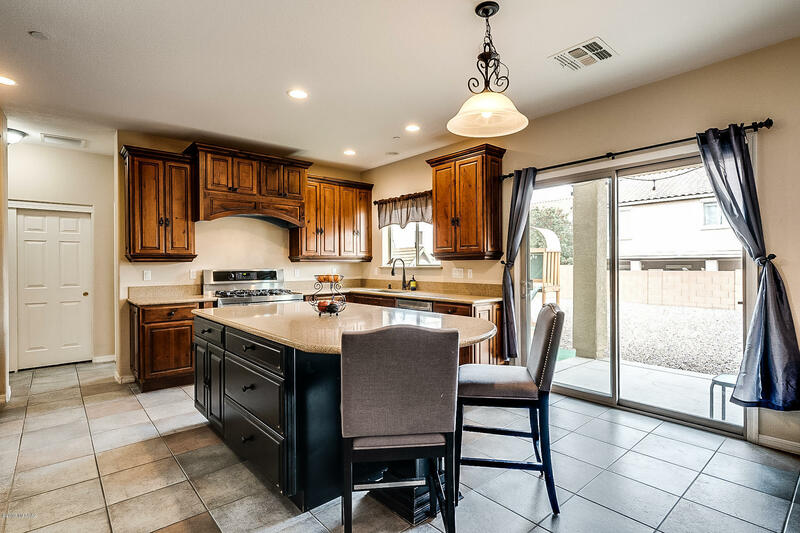 All this and all the amenities of desirable Rancho Sahuarita...welcome home.